Why to use that? How to configure that? and/or confidential information. If you have received this e-mail in error or are not an intended recipient please inform the sender with-out delay and delete this e-mail, attachments and possible copies immediately. The unauthorised use, disclosure, distribution and/or copying of this e-mail or any information it contains is prohibited." 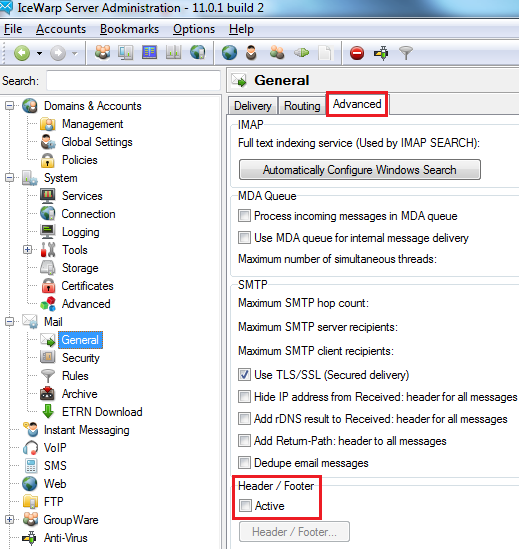 As you can see above, one way how to configure header or footer in email comunication is to go to Main Menu > Mail > General tab > Advanced tab > Header / Footer button where all configuration could be done. 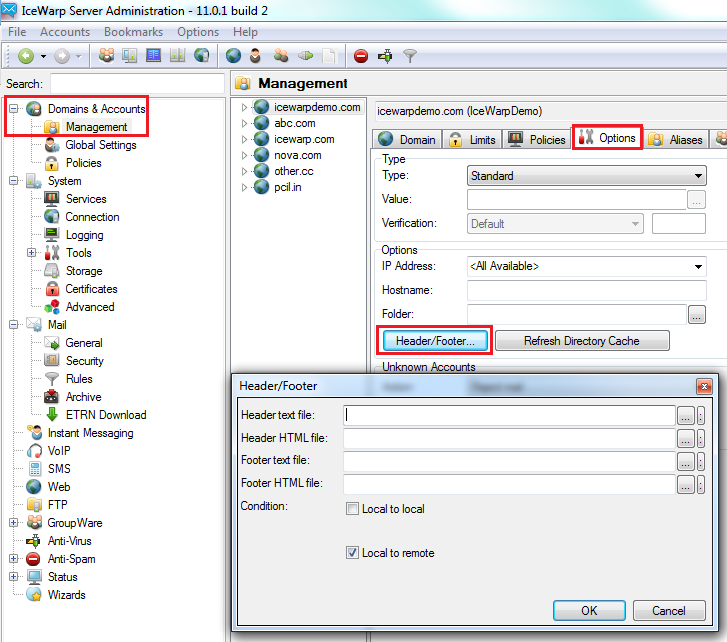 But this configuration is applied to all emails withou difference of domain stored in Icewarp. NOTE: You have to set both TXT and HTML header/footer to ensure it is working properly . It is because it depends on email Client which format will be used. 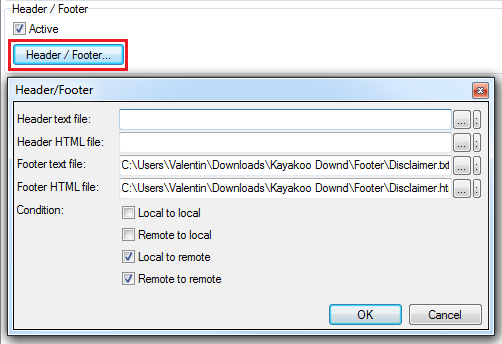 If you would like to configure usage of headers or footers to concrete domain, you may go to selected domain in Main Menu > Domain & Accounts > "domain_name" > Options tab > Header / Footer button, where same dialog as above will be displayed to configure header or footer to this concrete domain.